Olin Clark is a Michigan native and current resident of Brooklyn, NY. As a composer and arranger, Olin’s music has been performed by many ensembles around the United States and abroad. Olin has has played with bands/artists like Etienne Charles’ Creole Soul, Ray Parker, Marcus Elliot, Randy Napoleon, HUSH, and MSU Jazz Orchestra I. He also leads his own group, the Olin Clark trio (or sometimes quartet), who have performed at venues all around The midwest as well as NYC, including regular gigs at Cliff Bell’s in Detroit and Bar Next Door in NYC. Olin also self-released his debut trio album ‘Bright’ in January 2018. Outside of jazz, Olin has played with artists across many different genres including rock, reggae, hip-hop, and R’n’B. He believes all music is connected, and learning about different styles of music is essential to an individuals musical growth. 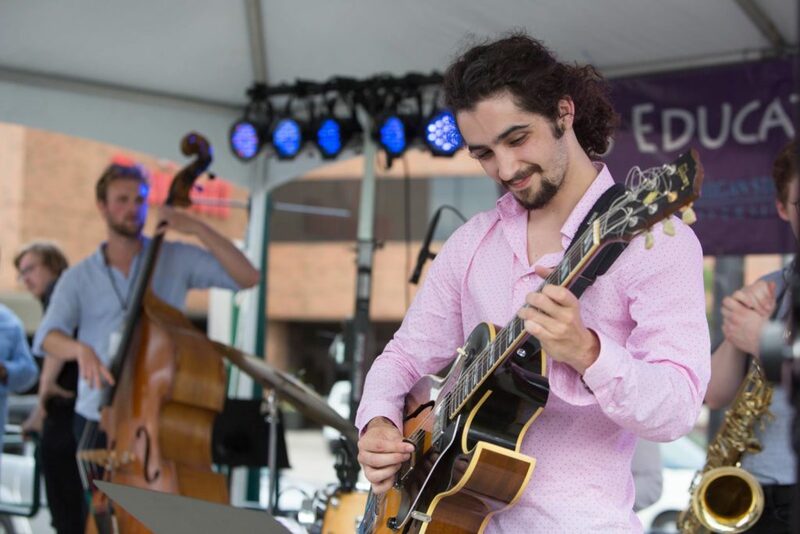 He completed a Master’s in Jazz Performance at Michigan State University, where he also earned his Bachelor of Music in Jazz Studies in 2015.